Tate, known as Tatsuya Yamashiro (山城(やましろ) タツヤ Yamashiro Tatsuya) in the Japanese version, is a character in the Yu-Gi-Oh! ARC-V anime. 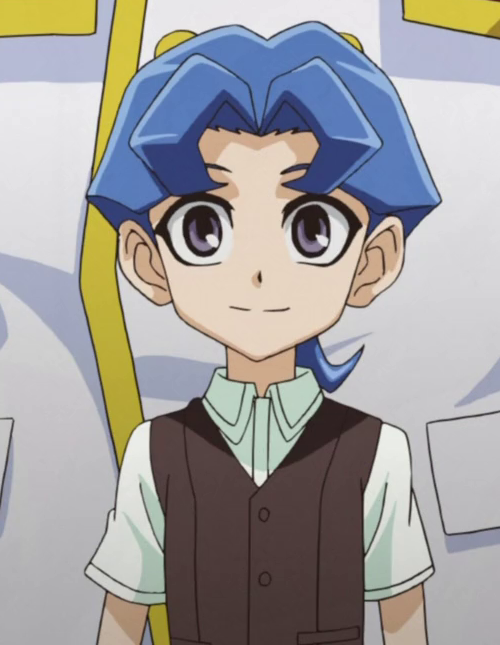 Tate quickly became one of Yuya’s biggest and steadfast supporters, calling him “Onii-chan” as a sign of affection and respect (Japanese version only). He is enrolled in You Show Duel School and proved to be very knowledgeable and intelligent. Frederick once called him a human calculator. Tate is a young boy with blue hair and shoes. He wears a white short sleeved shirt and brown vest, along with a watch and short khaki pants. Tate has purplish-grey eyes. 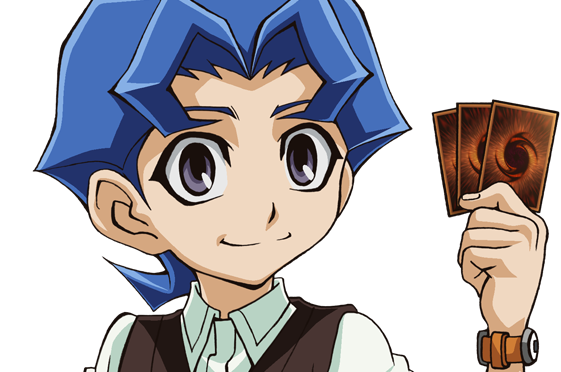 Tate truly looks up to Yuya and doesn’t doubt his dueling or Pendulum skills even when others do as seen when Yuya loses to Zuzu. 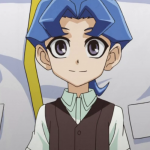 Tate sees Yuya almost like an older brother.